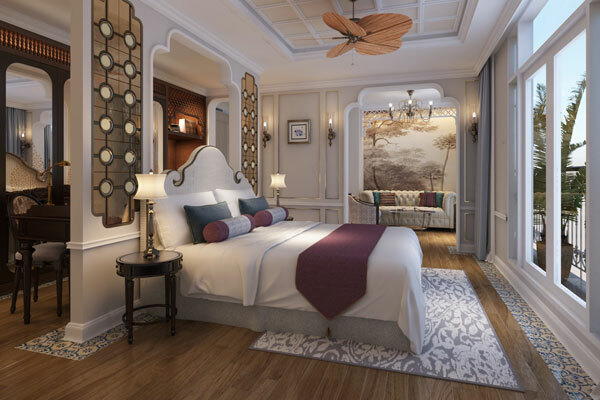 Uniworld Boutique River Cruise Collection is giving guests a sneak peek of its new S.S. Mekong Jewel, debuting Jan. 3, 2020 as the newest and most luxurious ship on the Mekong river. The Mekong Jewel’s 13-day itinerary will take guests from Ho Chi Minh City to Siem Reap, with visits to Phnom Penh, Angkor Wat and more. The newly built ship will feature all-suite accommodations, an indoor swimming pool and two restaurants: a main dining room and an al fresco eatery on the upper deck. The Mekong Jewel will be 33 feet longer than the Mekong Navigator, but with the same capacity of 68 guests, offering guests more space and amenities with one of the highest staff-to-guest ratios on the river. The ship is being constructed with sustainable and eco-friendly materials, such as special paint used for the hull of the ship that creates less drag caused by bio-fueling, specially designed ship propellers that increase performance and efficiency, energy-efficient LED light fixtures, automatic air conditioning controls to optimize cooling resources, and water cooled air-conditioning system that will save energy.